Semi Private Training will provide an intimate environment in a small group setting (2-4 people) where you can excel to take your training to the next level at a fraction of the cost of personal training. 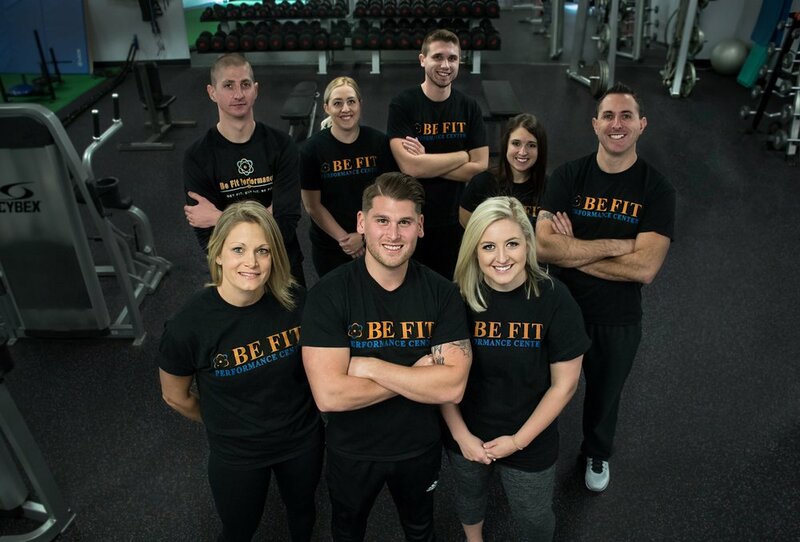 You will still benefit from great Be Fit coaching, personalized programming to meet your personal needs, and ongoing accountability from your coaches and fellow group members. With our Semi Private Training, we will help you reach specific, measurable, and attainable goals. Are you looking for more individual attention and accountability? Then 1 on 1 Personal training is for you. With 1 on 1 training, you get the same personalized programming but with undivided attention. Looking to freshen up your workout routine? Want a results driven program without a trainer? Our monthly programming option will set you up with a personal trainer who will build you a personalized program on a monthly basis. After an initial strategy session, the trainer will build you a fresh routine every month.